If one chose to rephrase the great man’s words, one might say: Ensure the sector performs well when you want to make a bond offering. 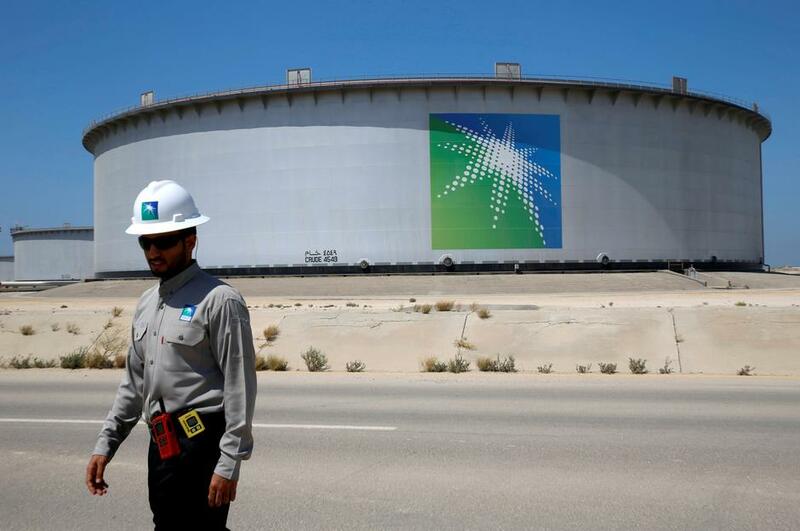 This is the case for Saudi Aramco, whose management is on a roadshow this week to Asia, North America and Europe ahead of its initial international bond offering, with various maturities ranging from three to 30 years. The amount has not been specified, but is expected to range between $10 billion and $15 billion. The macro indicators provide a positive backdrop for the bond offering. Oil markets have been going gangbusters in the first quarter. It was the biggest oil price rally in 10 years, exceeding 33 percent since the low point on Dec. 25. The geo-economic forces behind the smooth sailing of markets are in part due to the agreement by OPEC+ (an alliance between the OPEC and 15 “friendly” nations led by Russia), which cut production by 1.2 million barrels per day (bpd) to counteract excessive crude supplies. On the OPEC side, which represents two thirds of the cuts, compliance is stunning, exceeding 100 percent. Venezuela’s economic and political situation is going from very bad to even worse, if that is possible. The country was plagued by two massive power outages in March, which means that it could neither process crude in country nor load it. Venezuela’s production has come down from more than 3 million bpd 10 years ago to just about 1 million bpd last month, despite the country boasting the world’s largest oil reserves. The price could experience another boost depending how the US decides to proceed with the waivers to the Iran sanctions, which the State Department granted to eight countries in November. The waivers are due to be rolled over or discontinued in early May. The battle lines are drawn between John Bolton’s National Security Council, which wants to see Iranian exports go down to zero as soon as possible; and Mike Pompeo’s State Department, which may feel the need to yield to the energy security requirements of some allies with refiners thirsty for heavy crude from Iran. The last days of the oil rally in March was further supported by concerns that US production might not rise as exponentially in 2019 as predicted by the IEA and others. Aramco is the world’s most profitable company by far, according to accounts released by international rating agencies Fitch and Moody’s. This means that, as far as the macro environment is concerned, it will be smooth sailing for Aramco’s bond offering. That matters a great deal, because investors have a choice and prefer companies that can show a positive price trajectory for their products. Aramco’s numbers are also stunning: It is the world’s most profitable company by far, according to accounts released by international rating agencies Fitch and Moody’s. Aramco had earnings before interest, tax and depreciation (EBITDA) of $224 billion in 2018, even surpassing strong cash generators like Apple and Exxon Mobile. Why then were the ratings more subdued? Both Fitch and Moody’s gave Aramco the fifth highest investment grade rating with a stable outlook — A+ and A1 respectively. Both agencies awarded Aramco the same rating as its sovereign, Saudi Arabia. This is not surprising given how closely intertwined the company is with the country. Aramco contributes a big share to the national budget. In 2018 it paid around $102 billion in income tax, which means its funds flow per barrel is lower than the likes of Shell and Total, according to Bloomberg. Fitch would have given Aramco a standalone credit rating of AA+. It is realistic, however, to reflect the close association of country and company in the rating. Investors look at the macro environment as well as how a company performs. The mood music for oil has been positive over the last quarter. Commodities are volatile and investors will take that into consideration. As far as Aramco is concerned, the accounts released by the rating agencies prove that it is an extraordinarily well-run company. The heavy tax burden and strong affiliation with the fortunes of the country resulted in the agencies lowering their ratings. We should not forget, however, that A+ and A1 ratings are firmly in investment-grade territory. All in all, the macro environment and the ratings should be positive for Aramco’s debut on the international bond markets. It should be easy for management to convince investors to part with their money. The bond offering comes at a good time.